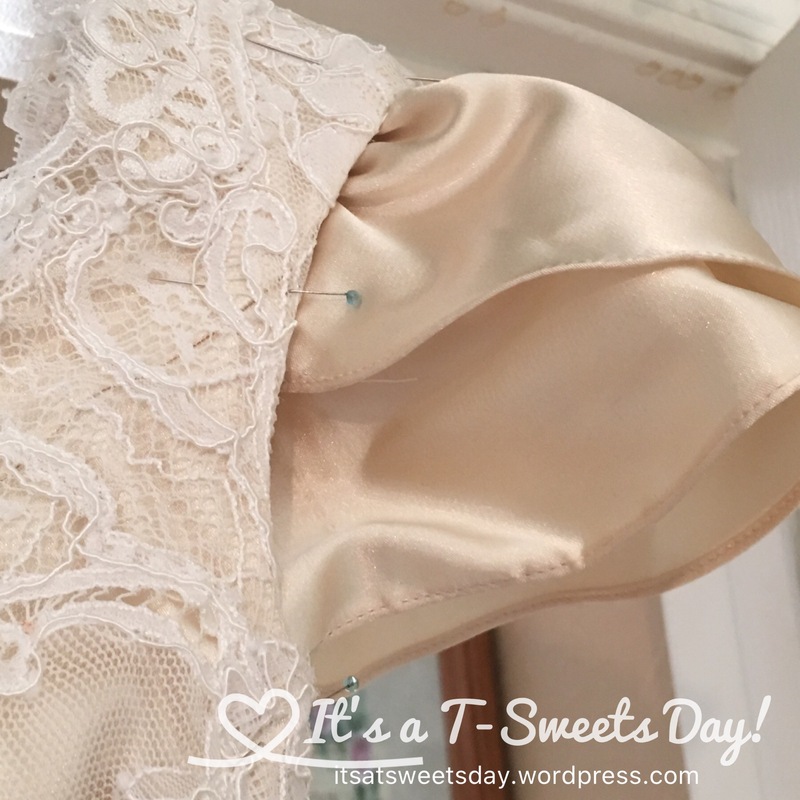 Wedding Dress Magic – It's a T-Sweets day! 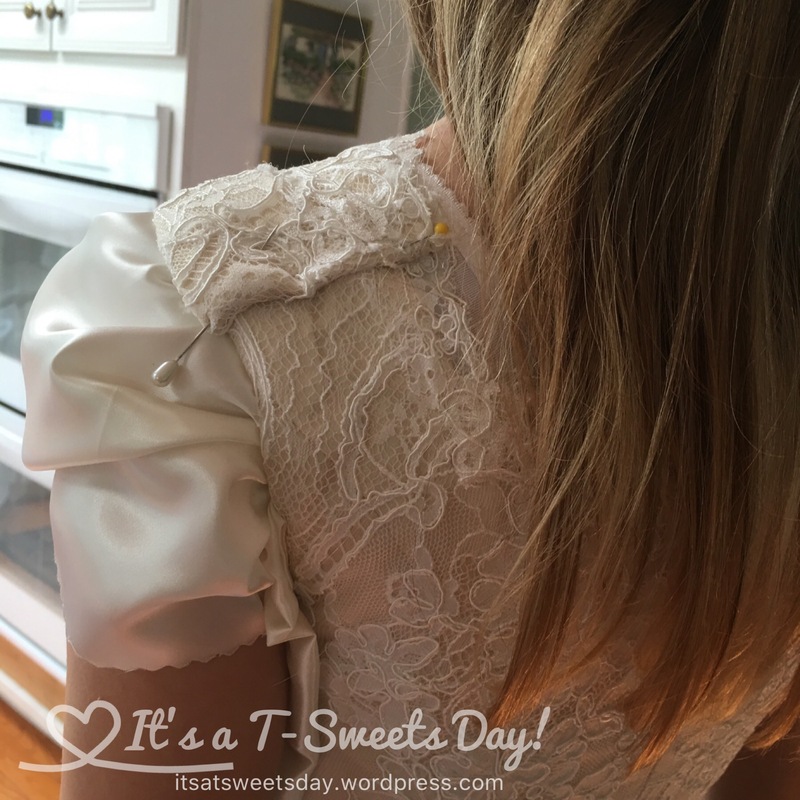 Published on August 5, 2016 August 10, 2016 by Tracy @ It's a T-Sweets Day! 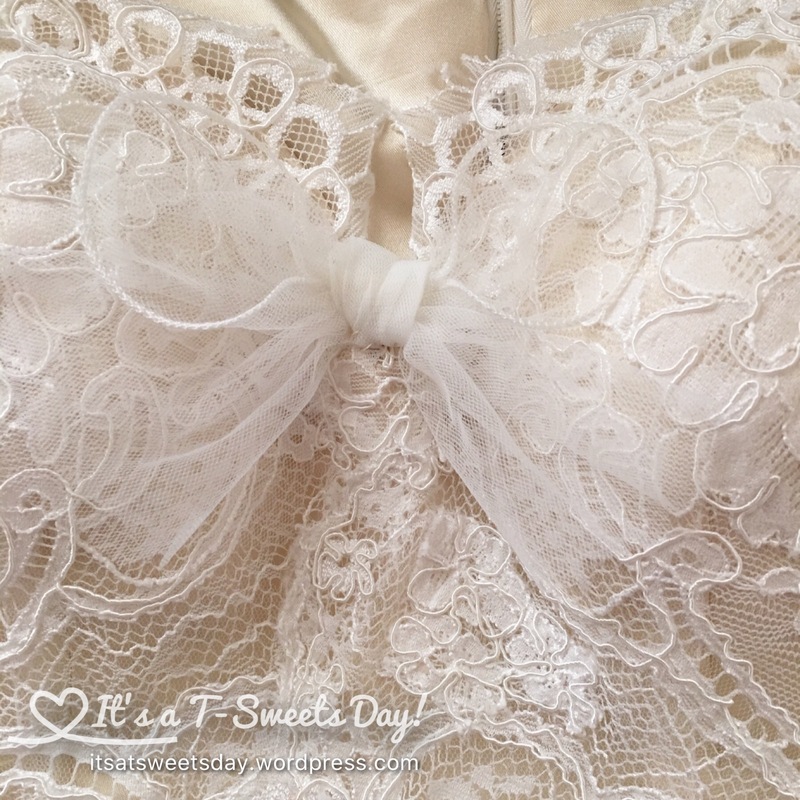 My beautiful niece ordered a wedding dress from China. And as is always a case with a mail order dress, it needed some alteration. You guessed it– Wonder Tracy to the rescue!! Then we played with sleeve design and decided on this pretty layered idea. I had to cut about 5″ off of the bottom of the dress to make it shorter (that first cut into the dress made me take a few deep breaths! Scary!!). I used the extra fabric for the sleeves. I hand sewed them in so that there would not be a stitching line on the top. That was an adventure! Now for the low bodice. We tried a few ideas and decided on a pretty bow. It is absolutely perfect with the dress. She absolutely loved how the dress turned out. I will be taking their pictures on Monday. I will post a picture or two so you can see how beautifully it fits her. I am so blessed to have such a wonderful family. 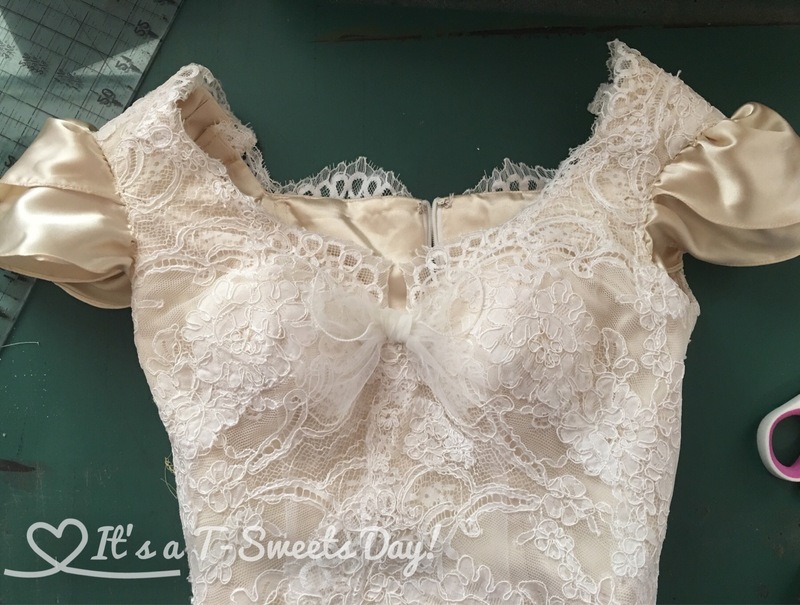 It has just been a SWEET experience to help with this wedding dress for one of my favorite people! 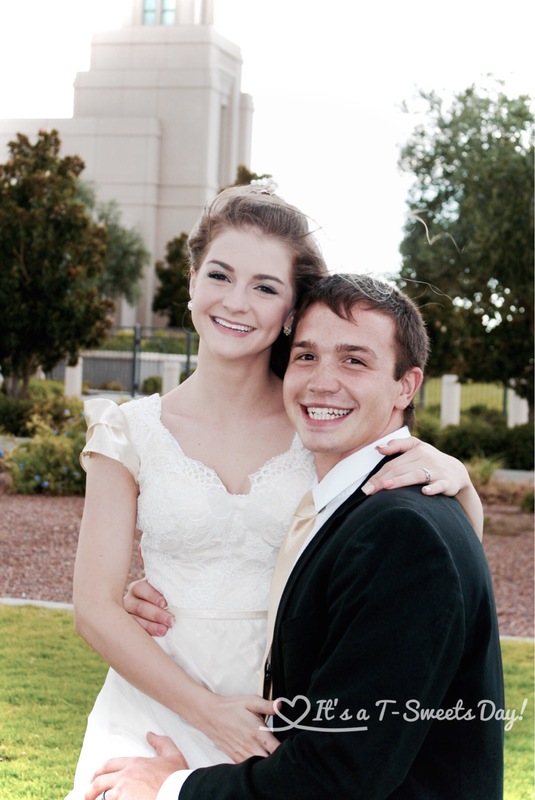 Here are a few pictures I took of the beautiful bride and happy couple at the Latter-day Saint Gila Valley Temple. She is glowing:)! I would guess the feeling is rather mutual. She probably found it just as sweet to have one of her favourite people alter her dress so it fits perfectly. I am sure you are right. We will share a beautiful memory together. Thank you so much! 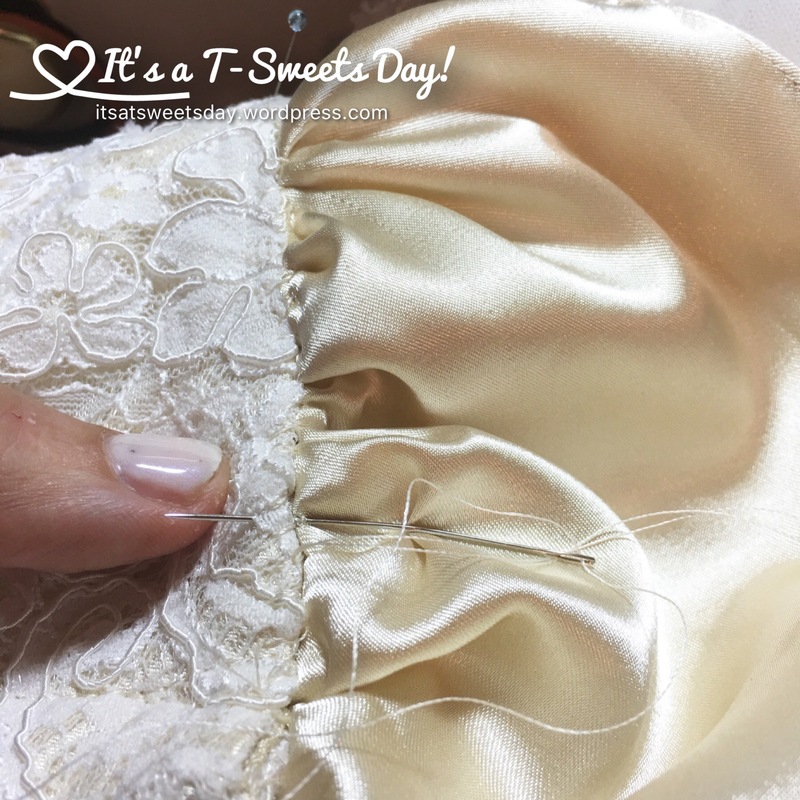 Hand sewing is THE best (only?) way to get it just right right….but oh so much fun!!! I used to do so many of these types of “re-do”s (for a variety of reasons—-personal preference/religious requirements). Beautifully achieved, one-of-a-kind ‘couture’ result!!!! LUV! Thank you! We have a lot in common:). Those sleeves look great with the dress, they fit the style perfectly. Love what you did! Thank you Kathy! 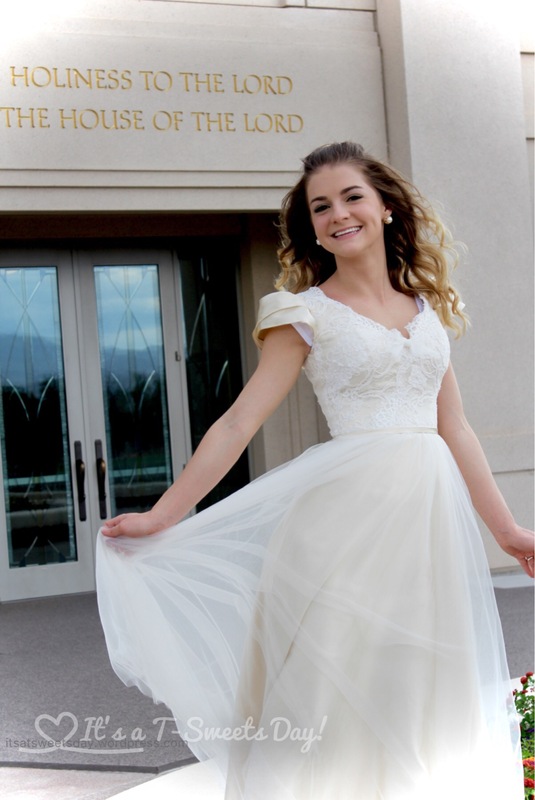 Wedding dresses and prom dresses are the best! Beautiful job! 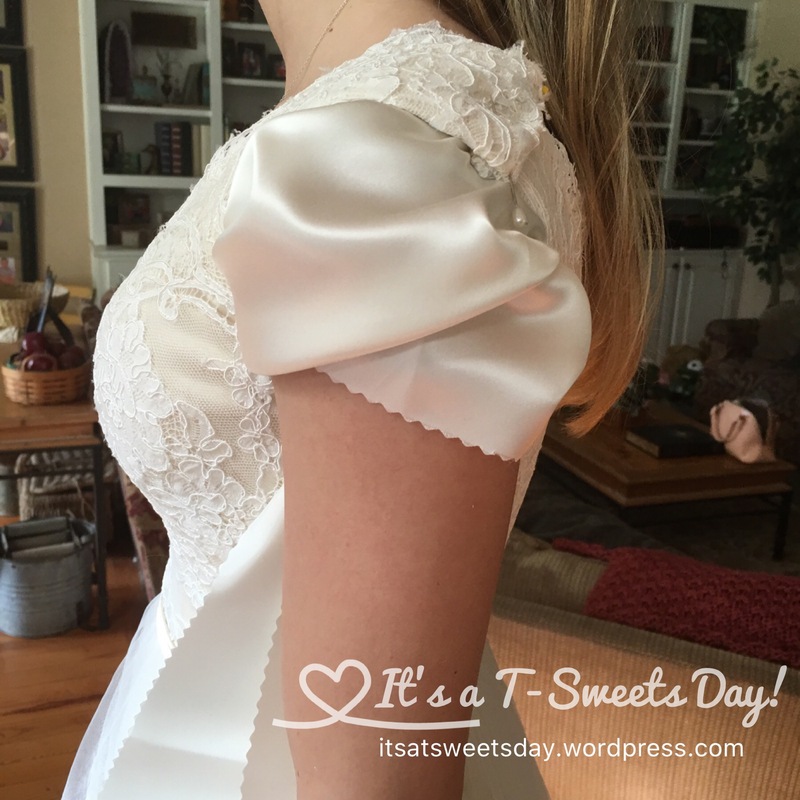 The sleeves look perfect and open enough that she’ll be able to move freely in the dress on her big day. My grandmother made my sister’s wedding dress. What a special memory you’ll both have from the wedding!